How to Pass Style Me Girl Level 30, "Awards," & Get 3 Stars Without Cash Items! | I Style Me Girl! How to Pass Style Me Girl Level 30, "Awards," & Get 3 Stars Without Cash Items! 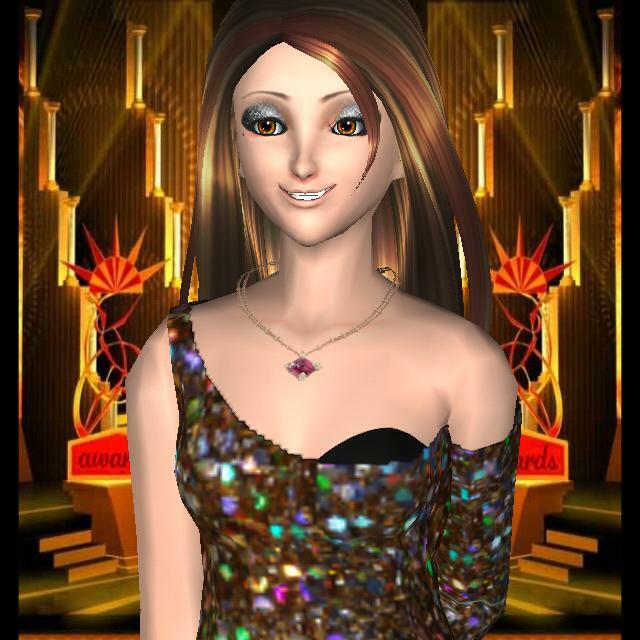 The player gets to be the model for Style Me Girl Level 30, "Awards," theme. The look I chose is all gold metallic and sparkly, and it scored three stars! If you would like to know how to pass Style Me Girl Level 30, "Awards," theme without using any cash items, read on! The items I used to pass and get 3 stars on Style Me Girl Level 30, "Awards," are pictured and described in the list below. The "Closet Items," screen capture image at right can be clicked to enlarge if you'd like a more detailed view. My three star stunning score for this look can be seen in the screen capture shown left. Keep in mind there are different versions of the game and this may not be possible or work on all of them, so while I can guarantee you this works for me and should for other players, I cannot guarantee that it will work for all players, or that it always will work. I hope this helps those that may be stuck on this level. Best of luck to my fellow Me Girl players! Please do share your thoughts in a comment! Try this? Try something else? How did it work? Let us know! thanks!